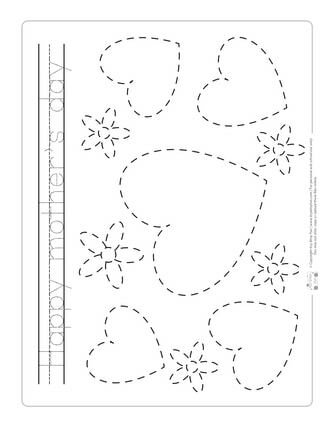 Mother’s day tracing worksheets are perfect for kids to use at home, to use at school, and to make at church to hand over to mom. 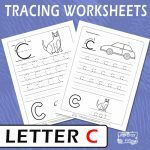 You can find a large colection of tracing worksheets that will be best for your class or home here at itsybitsyfun.com. You can give these tracing coloring pages to your class before the holiday, and you should ask your students to draw on the pages in a way that their mother will love. 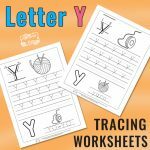 Ask the kids to put their name on the printable tracing worksheets, and make certain that they take that sheet home with them. Print some extra copies in case the kids want to make more for their moms. The kids will delight you with their creativity when you let them color these pages. 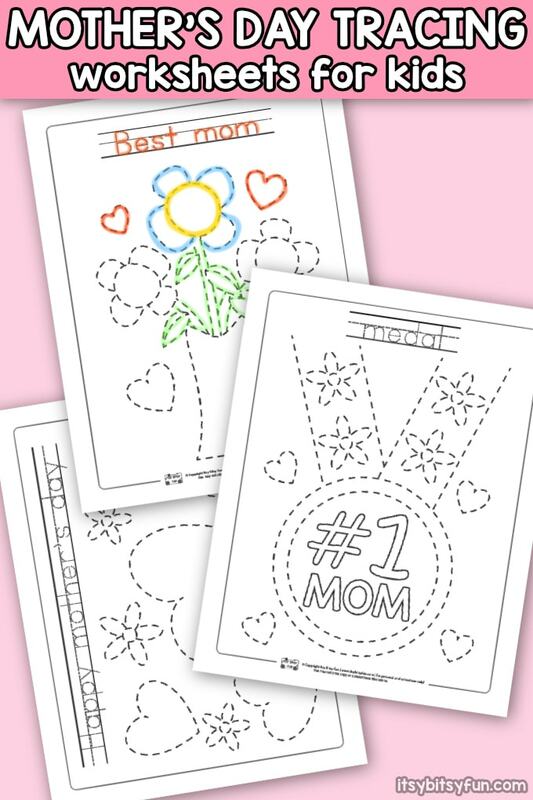 The printable tracing coloring pages that you have chosen have a mother’s day theme, and they will speak to the kids in terms they understand. These sheets have flowers and hearts that moms love, and you could give a different type of worksheet to each kid. You can choose three different designs that you think best suits your class, and you should speak to the kids about messages you might want them to send to their mothers. You can write down the names of very small kids on their behalf, and you could give certain kids certain sheets based on their tastes or personality. 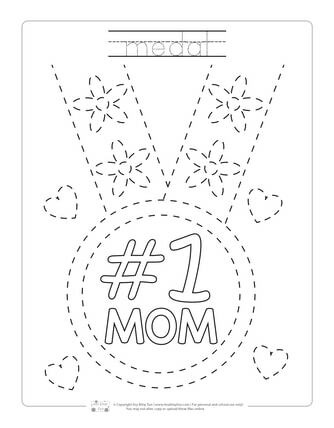 Moms would prefer to get one of these mother’s day tracing worksheets than a bland card, and you might tell dads at your school to let the kids bring these sheets home to surprise mom at the end of a long day. 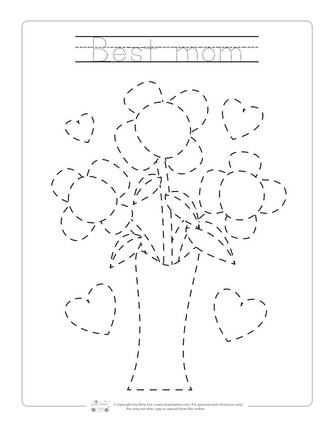 Get Mother’s Day Tracing Worksheets Here! 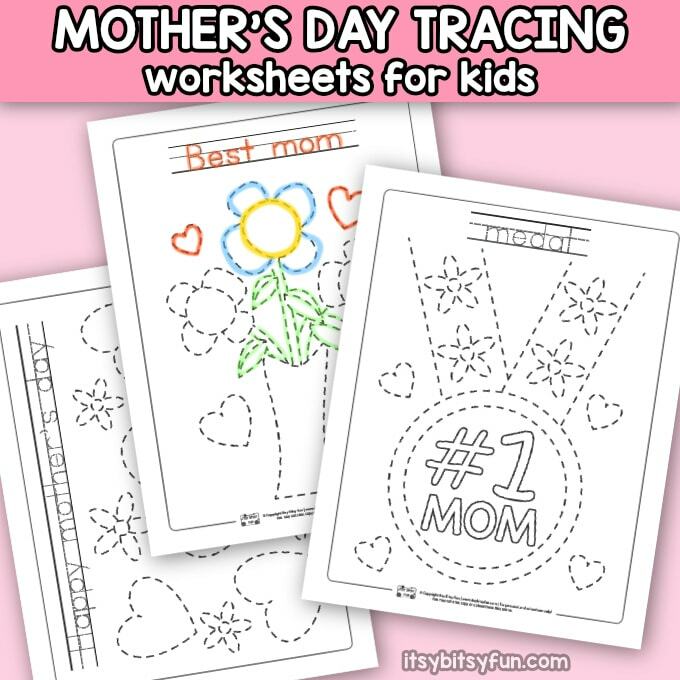 Get your Tracing Coloring Pages – Mothers Day here.